Four and a half kilometres from the centre of Barisardo, this beach is 8 kilometres long and one hundred metres wide. 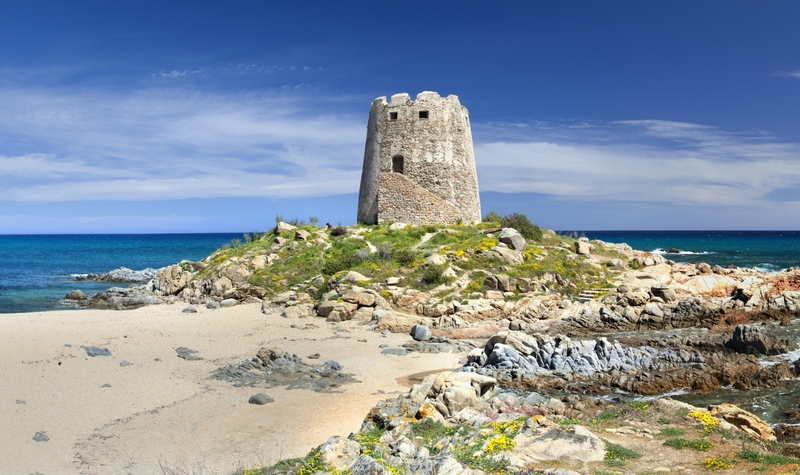 The Torre di Barì beach is split in two by the rocky promontory on which the Spanish watchtower is located. 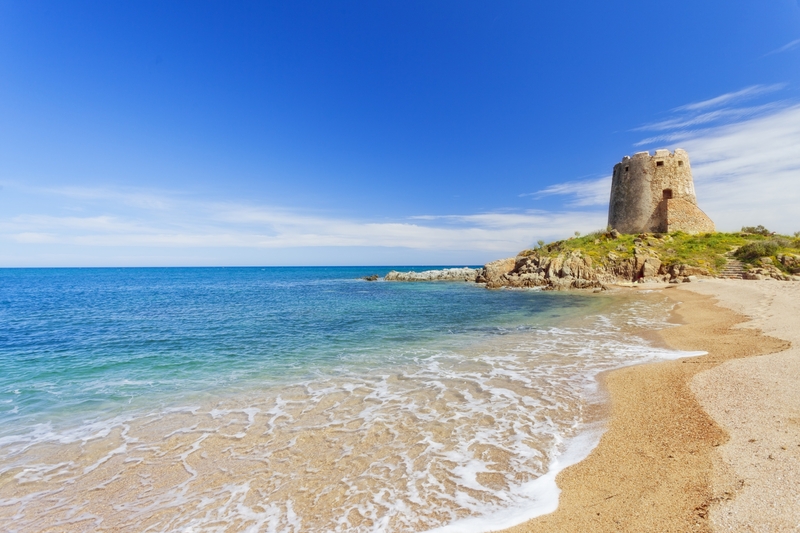 Built in 1572 to defend the territory from Saracen pirates, the fort overlooks the sea and the shore. The northern part of the beach, characterised by golden thick-grained sand and demarcated by a scented pine grove at the feet of the basaltic plateau called Teccu, is traditionally called mari de is ominis (the men’s sea). It is separated from the southern part, characterised by thin white sand and small pebbles, called mari de is feminas. This separation dates back to the post-war years, when the two parts of the beach were attended by men and women, separately. The southern part extends all the way to a small granitic plateau that marks the boundary with sa Marina Tramalitza, another splendid “Barì” beach, never crowded, of light sand that dives into the crystalline sea, with green hues. Beyond there is the shore of Perda ‘e Pera, in the Cardedu territory. The waters of Torre di Barì are azure and clear, thanks to oceanic posidonia and its filtering action. The seabed is shallow but deepens rapidly, becoming rocky around the tower and therefore perfect for snorkelling and underwater fishing. The beach has all the necessary facilities, access to disabled people, rental of umbrellas and beach chairs, in addition to plenty of parking space and a diving centre. Exposed to Gregale and Sirocco, it is the perfect destination for surfers and kite surfers. Around the beach, you will find hotels, residences, camping sites, cafés, restaurants and clubs. To the north of the town, do not miss the paradise that is Cea: over one kilometre of soft white sand, with shallow waters, smooth rocks and emerald hues in the water. One-fourth of it is part of the Barisardo territory, while the remaining three quarters belong to Tortolì. Three hundred metres from the coast, in the centre of the shore, two rocky stacks of red porphyry stand out, twenty metres high: is Scoglius Arrubius, the symbol of this beach. 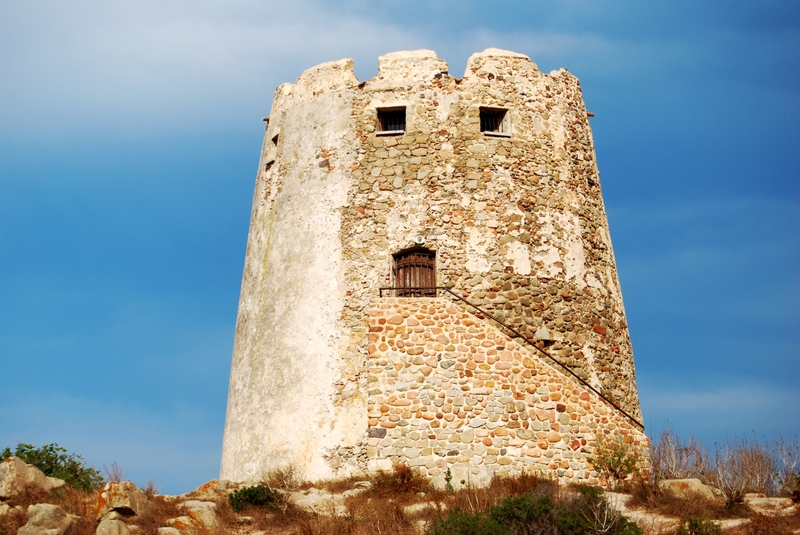 It is easily reached along the panoramic SS 125 main road, turning off towards the Tower. The beach is reached after around 4 kilometres.